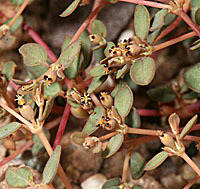 Chamasyce parishii (ground fig), Parish's Sandmat, growing in desert pavement near the roadside at Titus Canyon turnoff, Death Valley, California at 140 foot elevation, March 17, 2007. 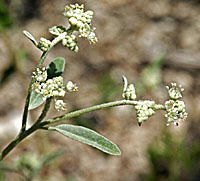 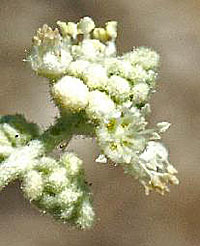 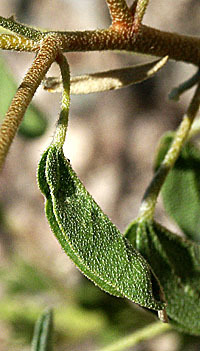 Croton texensis, Doveweed, near Bandalier National Monument, New Mexico, elevation 6,700 feet, June 23, 2003. 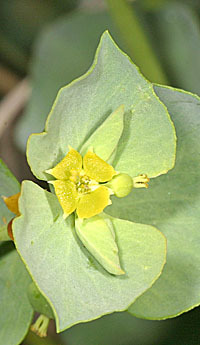 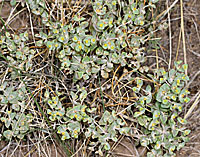 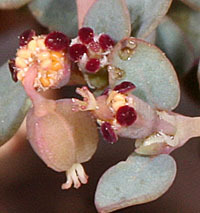 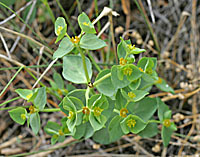 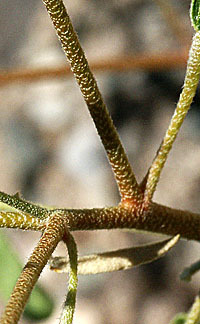 Euphorbia robusta, Rocky Mountain Spruge, growing on the sand sheet at the South edge of the Great Sand Dunes, Great Sand Dunes National Park, Colorado, elevation 8,150 feet, June 10, 2005.